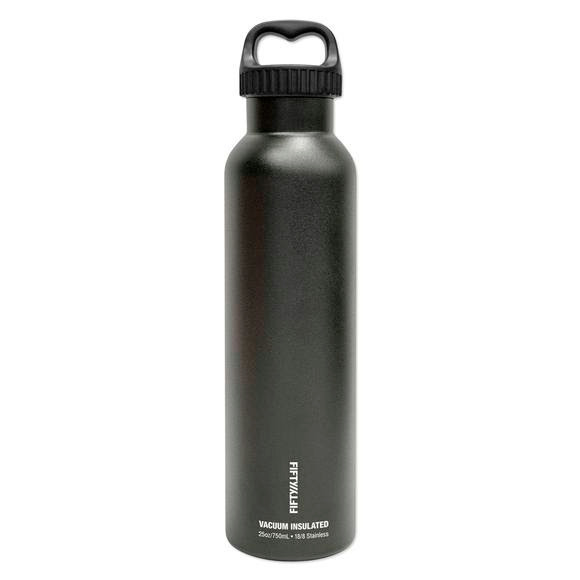 Fifty/Fifty's 25 oz vacuum-insulated water bottles are outfitted with their popular easy-grip handle-lid and keep liquids hot or cold all day. This slim profile fits easily in your purse or backpack and holds enough to keep you hydrated during your work day or while on a short hike. It's the perfect size to bring to a full day of classes or for someone constantly on the go. Fifty/Fifty&apos;s 25 oz vacuum-insulated water bottles are outfitted with their popular easy-grip handle-lid and keep liquids hot or cold all day. This slim profile fits easily in your purse or backpack and holds enough to keep you hydrated during your work day or while on a short hike. It&apos;s the perfect size to bring to a full day of classes or for someone constantly on the go.